If you read financial headlines, you’ve no doubt seen the news that the Federal Reserve is raising interest rates. These headlines can be accompanied with all sorts of hyperbole about the end of the stock market, the boom of bonds or any of a dozen other possible predictions. It’s easy to get overwhelmed when there’s this much information and so much of it is conflicting. Let’s set the record straight on what rising prime interest rates mean for you. The prime interest rate is the rate that the Federal Reserve charges financial institutions to borrow from it. It influences a lot of other financial prices. Many of these are only of concern to investment bankers, professional investors and other economic enthusiasts. Here are some key ways the prime rate hikes can affect you! Many people opted for adjustable-rate mortgages (ARMs) when interest rates were historically low. These mortgages often have much better rates for an introductory period, usually five years (please note – a Destinations Credit Union ARM holds the rate for 10 years), before they adjust to a new rate. That new rate is determined in large part by the rate the Federal Reserve charges. The Federal Reserve is planning to continue to increase interest rates as the economy continues to improve. This means the rate on your ARM may go up as well. Worse yet, the rising rates could make your monthly mortgage payment unpredictable, putting you in a bit of a budget bind. Fortunately, you can refinance your mortgage into a fixed-rate loan and take advantage of still-low interest rates. You may still be able to secure a low rate on a 10-, 15- or 30-year fixed-rate mortgage. As interest rates continue to rise, your fixed-rate mortgage will stay the same, meaning your savings will increase as time goes on. The historically low interest rates over the past six years have done wonders for the stock market. Because companies could borrow at affordable rates, they could expand rapidly. That expansion fuels growth in stock prices. As interest rates rise, that credit availability will decrease. Companies will find it more difficult to expand, and their growth will slow. This slowing of growth may lead to a decline in stock prices. However, as interest rates rise, bond rates will also increase. That will lead to an increase in their price as more investors chase those rates. Individual investors need to ensure their portfolios are properly balanced to take advantage of changing market conditions. Speaking to a financial adviser to ensure your assets are where they need to be will help keep your investments growing at a healthy rate. The Federal Reserve interest rate also affects the rates that financial institutions are able to offer account holders. As it becomes more expensive to borrow from other institutions, it’s more profitable for those institutions to “borrow” from their members in the form of certificates and savings accounts. As interest rates continue to rise, it’ll be increasingly more profitable to sock your money away in an interest-bearing account. If you’ve been putting off opening a certificate or increasing the deposits in your share account, now is an excellent time to consider it. With a 12- or 24-month certificate, you can take advantage of rising interest rates while still leaving yourself the flexibility to re-invest once interest rates rise again. The service charges on several kinds of debt are tied to the prime rate. Notably, credit cards and private student loan rates may increase as the prime rate continues to climb. That makes now a great time to think about refinancing. 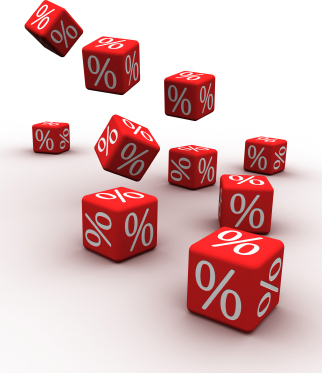 Take advantage of currently low interest rates with several strategies. A home equity line of credit can help bundle your high-interest, unsecured debt with your low-interest mortgage. A personal loan for refinancing can also help secure a better interest rate. Other options exist, and the sooner you speak with a debt counselor or other financial professional, the better off you’ll be. It’s easy to get overwhelmed by all the financial terminology surrounding news events like rate hikes. That’s why it’s best to have an advocate in your corner to help you figure out what to make of a changing economic landscape. Destinations Credit Union can do just that. Call, click or stop by to speak to a member services representative about how you can take advantage of this opportunity and put yourself on the path to financial wellness. Your Turn: Got questions about rising interest rates? Leave your questions in the comments. Or, if you’ve got a handle on all things economic, share your wisdom with others!